Your profile image automatically uses your Gravatar – if you already have a Gravatar then it will automatically appear as your profile image. If you don’t just go here https://en.gravatar.com/ and follow the prompts. (make sure you use the same email address you signed up to the forum with). 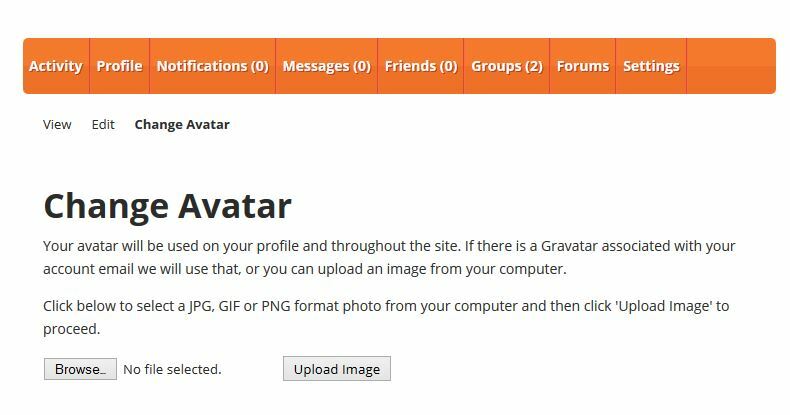 if you don’t want to set up a Gravatar you can create an Avatar by uploading an image inside your Just Ask Dave Account – See image below. Just setting up, but planning on dropping some info on here as I go, mostly about Jeeps and offroading in general. So by all means comment on anything I have written so far or ask away and will see what we can do for an answer!